Is Delores Minor a cheater? We have received more than one report about Delores. She may be married and cheating on her hubby. Two different men reported the same phone number more than a year apart. Then just a few days ago we received another report that she was back out playing games again. 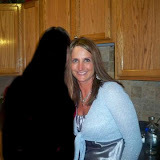 Update: December 2010, we received another report about Delores and added the new pic she is sending out. Update #3 April 2012, Delores is at it again with a new fake name Sarah Meadows, new fake email and new photos but those were not provided. The guy says he was talking to her and then she stopped. When he looked her up online he found us. 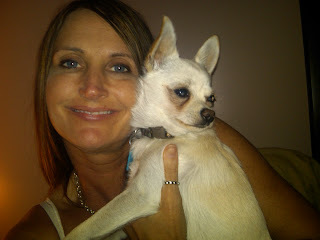 Update August 2012: 2 years since we first reported on Delores she still may be trying to cheat. We received an updated report and a new photo of her. ← Is Denise Drew a cheater? Oh Dee, you thought you were being so tricky when you blew me off. Guess what goes around comes around. Hope the hubby sees this and find about about us guys. I dropped by this site to email the blogger , as the song says " I've got a lot of hey I'm sorries" that's taken from Changed by Rascal Flatts…anyway , I saw this recent comment and I needed to reply. To anonymous, I apologize from the depth of my soul for any pain I have caused you in the past during troubled times of my marriage. I was lost in sin and seeking solutions to my marital problems outside my marriage by seeking positive attention from other men. It was not my direct intent to cause you pain or grief, however , I understand that was the end result. I can only express my sincere apology and ask your forgiveness. My husband has seen this website, and we are both born again Christians now, he has forgiven me for my past mistakes, as I have him. Since I cannot find an email link to the blogger of this site, I hope that he too is reading this and will also accept my apology and offer forgiveness. God Bless all.
" let him who is without sin cast the first stone"